I just bought a “Loaded” Springfield. Beautiful gun. Fit and finish were perfect and comparable to my Novak custom. I did have to polish the feed ramp with the dremel though before it would feed corbon HP’s. Took it to the range yesterday and fired about 250 rds through it without a cleaning and no jams or misfires. Grouped on average about 1.5″ at 25 yrds. 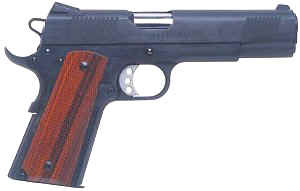 Thats better than the Kimber Royal that I spent 150.00 more to have it feed and fire reliably. Out of the 6 that I have (colts, kimber, para, Ithaca) It is best one. I highly recommend it.